The Tuesday bird walk went to Columbia Beach. The morning was mostly sunny and the winds were calm. The sea was like glass except near the horizon where it was foggy. We saw a large number of Horned Grebes, Red-necked Grebes, Pacific Loons and Common Loons on the Strait of Georgia. Three Long-tailed Ducks were off shore on the Strait. Black-bellied Plovers, Black Oystercatchers, Dunlin and Black Turnstones were resting on the gravel bar at Pebble Beach. The Tuesday bird walk on December 03 will be going to the Plummer Road side of the Englishman River Estuary in Parksville. Horned Grebe: Ralph Hocken Photo. The Sunday bird walk went to Neck Point Park in Nanaimo. The morning was partly cloudy with mostly calm winds. We saw and heard a large number of American Robins throughout the morning. 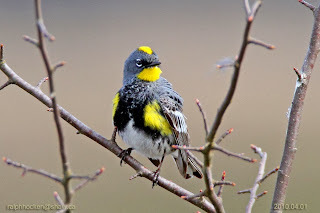 We spotted two Yellow-rumped Warblers just off the trail. There were Black Oystercatcher, Black Turnstones, Dunlin, Black-bellied Plovers on the rocks just off the shore. Mew Gull, Thayer’s Gull, Glaucous-winged Gull, Pileated Woodpecker, Northern Flicker, Northwestern Crow, Common Raven, European Starling, Anna’s Hummingbird, Belted Kingfisher, Pacific Wren, Bewick's Wren, Brown Creeper, Chestnut-backed Chickadee, Ruby-crowned Kinglet, Golden-crowned Kinglet, American Robin, Varied Thrush, Spotted Towhee, Fox Sparrow, Song Sparrow and Dark-eyed Junco. Three Canvasback ducks were seen in with a flock of Ring-necked Ducks on the Morningstar Ponds in French Creek. An American Kestrel was spotted at the Nanaimo Airport in south Nanaimo. The Tuesday bird walk went to the Little Qualicum River Estuary in Qualicum Beach. The surf was up and the Strait of Georgia was filled with white caps making for a wild windy morning of birding. We spotted a flock of Dunlin on the gravel bar at the viewing platform. Further offshore there were Pacific Loons, Common Loons, Horned Grebes, Red-necked Grebes and Double-crested Cormorants riding the surf. 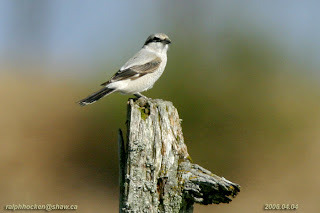 A Northern Shrike entertained us from a short bush near the road. Nine Black Turnstones were huddled against the wind along the rocky shore. Trumpeter Swans flew above us, singing as they moved. Hundreds of Bonaparte's Gulls, Mew Gulls, a Ring-billed Gull, California Gulls, a Herring Gull, Thayer's Gulls and Glaucous-winged Gulls gathered and bathed in the fresh water of the Estuary. One lone Glaucous Gull perched on a gravel bar close to shore allowing us to study him. Glaucous Gull: John Purves Photo. 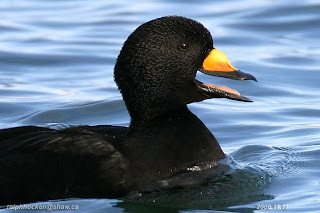 White-winged Scoter, Black Scoter, Bufflehead, Common Goldeneye, Common Merganser, Red-breasted Merganser, Pacific Loon, Common Loon, Horned Grebe, Red-necked Grebe, Double-crested Cormorant, Great Blue Heron, Bald Eagle, Northern Shrike, Dunlin, Black Oystercatcher, Black Turnstone, Bonaparte's Gull, Mew Gull, Ring-billed Gull, California Gull, Herring Gull, Thayer's Gull, Glaucous Gull, Glaucous-winged Gull, European Starling, Northwestern Crow, Common Raven, Dark-eyed Junco and House Finch. Arrowsmith Naturalists meet at 7.30 pm at Knox United Church in Parksville. Topic - ‘In Stream Fish Habitat – Restoration Works’-- Speaker Sean Wong, biologist with the Ministry of Transportation and Infrastructure. Tuesday mornings. We leave from the Store at 9 a.m. Sunday Mornings and go to a different location in and around Nanaimo and from the Parksville Beach Community Park at 9 a.m. on Tuesdays and go to different areas in and around the Oceanside area. 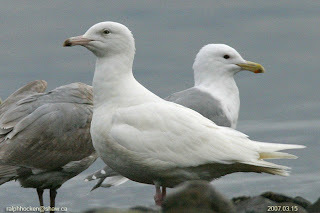 The Tuesday bird walk on November 26 will be going to Columbia Beach. Meet at the Parksville Community Park at the parking lot near the Lions Club playground at 9:00 am or at the parking area off Admiral Tyron Bld. at about 9:20 am. The Sunday Bird Walk on December 01 will be going to Nanoose Bay. Meet at the birdstore at 9:00 am or beach behind the church camp off Highway 19a and Arlington Road at about 9:15 am. The report highlights songbird and owl banding, swallow nest box monitoring, volunteer effort and training, and public demonstrations and education. Let me know if you have any questions, or would like to find out more about our results. 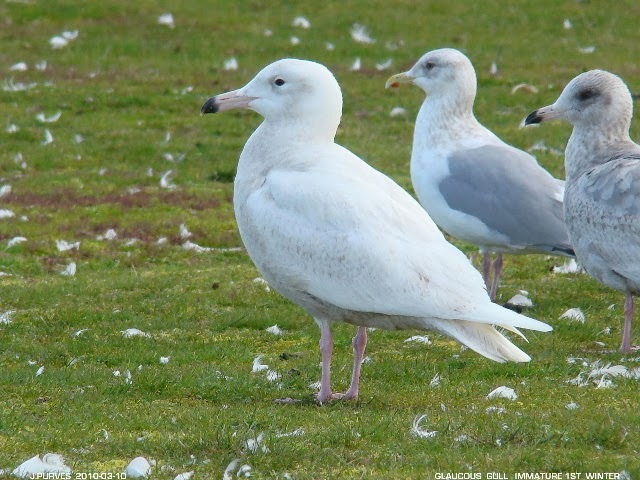 Glaucous Gull: Ralph Hocken Photo. The Tuesday bird walk on November 26 will be going to the Columbia Beach. Sooty Grouse: Paul & Rhonda. On our way home we saw something on the side of the road. Just north of Drew Rd. 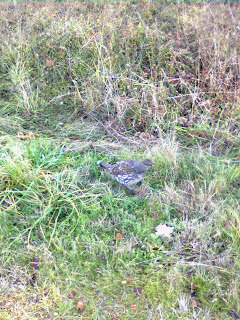 and on the Island Highway (west side) we observed a Sooty Grouse. I following it for several minutes with it less then ten feet from me. We turned onto Drew Rd. and went back for more views. It actually walked towards me and was, at one point only three feet in front of me. It was not afraid of me. It seemed like it wanted to cross the road so I herded it with my walking stick to try to cross. Then it decide to go back to the west ditch. The line up of cars in both directions were very patient as I directed it back to the ditch. They must have thought I was taking my chicken for a walk! It did flap it’s wing ands achieved take-off but only flew maybe five feet. We had a Northern Shrike land on our cherry tree this afternoon in Parksville. 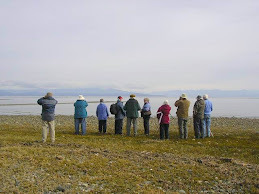 The Sunday bird walk went to the Shelly Road side of the Englishman River Estuary in Parksville.. The morning was partly clear and calm wind seas. 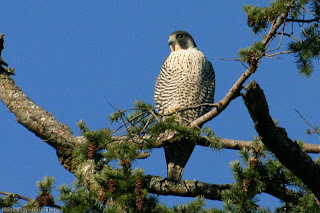 We spotted a Peregrine Falcon perched in its usual perch for most of the morning. A large flock of Canada Geese with two Snow Geese flew over us and landed near the mud flats. 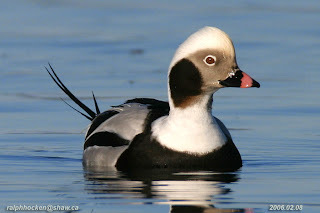 Snow Geese, Canada Geese, Trumpeter Swan, American Widgeon, Eurasian Widgeon, Mallard, Harlequin Duck, Northern Pintail, Green-wing Teal, Surf Scoter, White-winged Scoter, Bufflehead, Common Goldeneye, Hooded Merganser, Common Merganser, Red-breasted Merganser, Common Loon, Pacific Loon, Horned Grebe, Red-necked Grebe, Killdeer, Double-crested Cormorant, Great Blue Heron, Bald Eagle, Peregrine Falcon, Belted Kingfisher, Mew Gull, California Gull, Thayer's Gull, Glaucous-winged Gull, Anna's Hummingbird, Downy Woodpecker, Northern Flicker, Northwestern Crow, Common Raven, American Robin, Western Meadowlark, Chestnut-backed Chickadee, Red-breasted Nuthatch, Bewick's Wren, Pacific Wren, Bushtit, Golden-crowned Kinglet, Ruby-crowned Kinglet, European Starling, Spotted Towhee, Song Sparrow, Golden-crowned Sparrow, Dark-eyed Junco, Brewer’s Blackbird and House Finch. 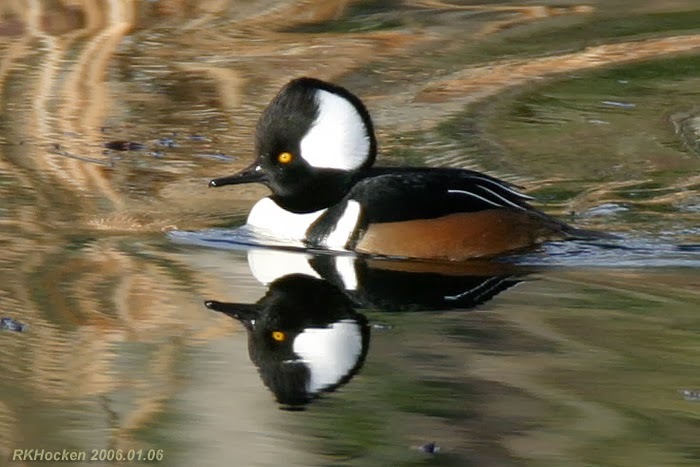 A Canvasback duck was spotted in with a large flock of Hooded Mergansers at Buttertubs Marsh in Nanaimo. A pair of Ruddy Ducks, a Greater White-fronted Goose, and seventy Trumpeter Swans were seen at Quennel Lake in Cedar. Three American Black Canada Geese, Greater White-fronted Geese, four Cackling geese and a Red-tailed Hawk were seen near Doole Road in Cedar. Four Northern Shrike and two Wilson’s Snipe were seen at the Nanaimo River Estuary in south Nanaimo. A Northern Waterthrush was seen at edge of the pond near the parking lot at Neck Point Park in Nanaimo. The Tuesday bird walk went to Rathtrevor Provincial Park in Parksville. The morning was windy and cloudy with sunny periods and a light shower during the morning. A large flock of Dunlin and Black-bellied Plovers were feeding along the tide line when we arrived at low tide. We saw many Pacific Loons, Common Loons, Horned Grebes and Red-necked Grebes on the choppy Strait of Georgia. Several flocks of American Wigeon, Mallard and Common Goldeneye flew down the Strait. We had great close views of several Golden-crowned Kinglets and Ruby-crowned Kinglets on the walk through the forest. Common Goldeneye: Ralph Hocken Photo. California Gull, Herring Gull, Glaucous-winged Gull, Common Murre, Dunlin, Black-bellied Plover, Northern Flicker, Northwestern Crow, Common Raven, Anna’s Hummingbird, Chestnut-backed Chickadee, Golden-crowned Kinglet, Ruby-crowned Kinglet, Pacific Wren, Bewick’s Wren, Brown Creeper, Spotted Towhee, Fox Sparrow, Song Sparrow, Purple Finch,House Finch, Golden-crowned Sparrow and Dark-eyed Junco. A Brown Booby was seen on a fishing boat three miles off Ucluelet on the west coast of Vancouver Island. A Greater White-fronted Goose, a Cackling Goose, a Long-tailed Duck and three Townsend's Warblers were seen at Brannen Lake in Nanaimo. One male and one female Redhead ducks were seen at Diver Lake in Nanaimo. 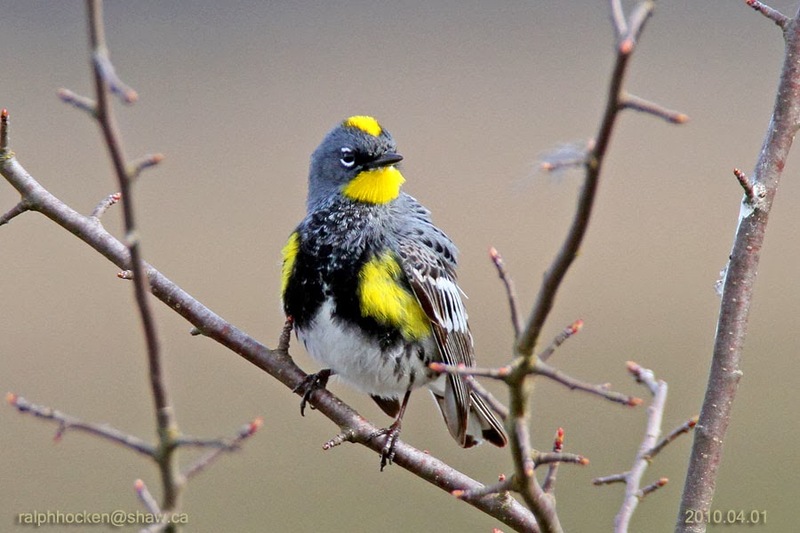 Four Townsend's Warblers were spotted at Bowen Lake in Nanaimo. An Orange-crowned Warbler was seen along the Maki Road trails near Beck Creek in south Nanaimo. 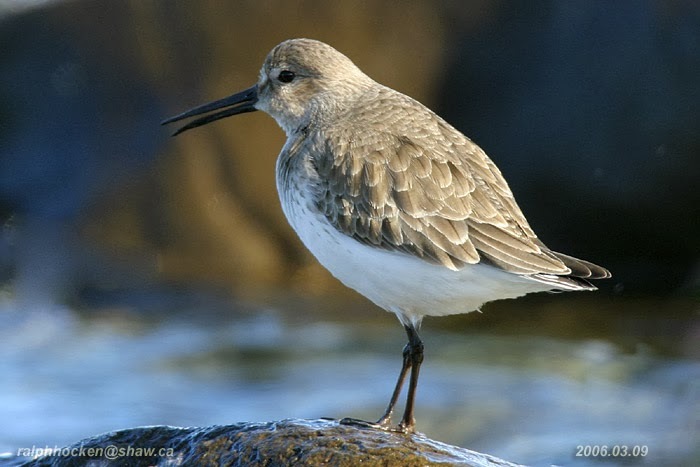 The Tuesday bird walk on November 19 will be going to the Little Qualicum River Estuary in Qualicum Beach. Meet at the Parksville Community Park at the parking lot near the Lions Club playground at 9:00 am or at the viewing platform off highway 19a in north Qualicum Beach at about 9:20 am. The Sunday Bird Walk on November 25 will be going to Neck Point Park in Nanaimo. Meet at the birdstore at 9:00 am or at the parking lot at Neck Point off Hammond Bay Road at about 9:15 am. 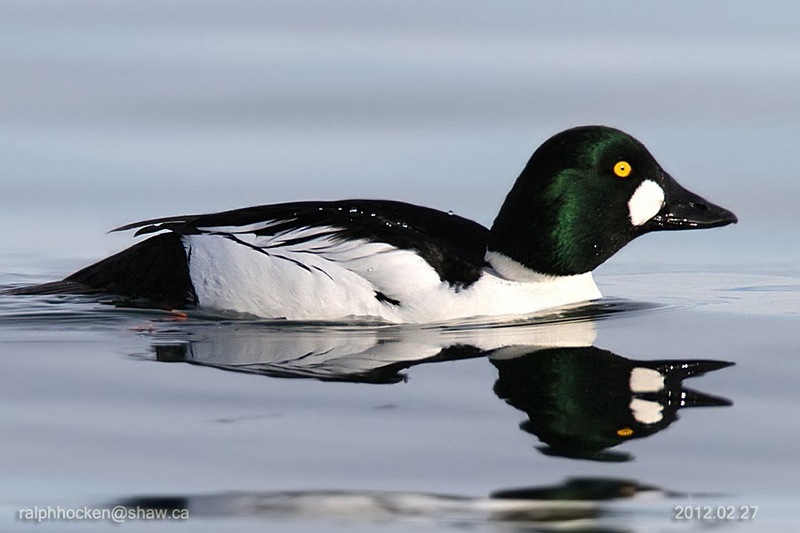 The Tuesday bird walk on November 19 will be going to the Little Qualicum River Estuary in Qualicum Beach. NANAIMO BIRD REPORT" EXPLORE NATURE-GO BIRDING"
To report your sightings phone the Store at 250-390-3669 or e-mail us at thebackyard@shaw.ca.. Please remember, when reporting a sighting, to leave your name and phone number along with the date, the species and location of your sighting. The Sunday bird walk went to Buttertubs Marsh in Nanaimo. The morning was Cloudy and cool and mostly calm winds. 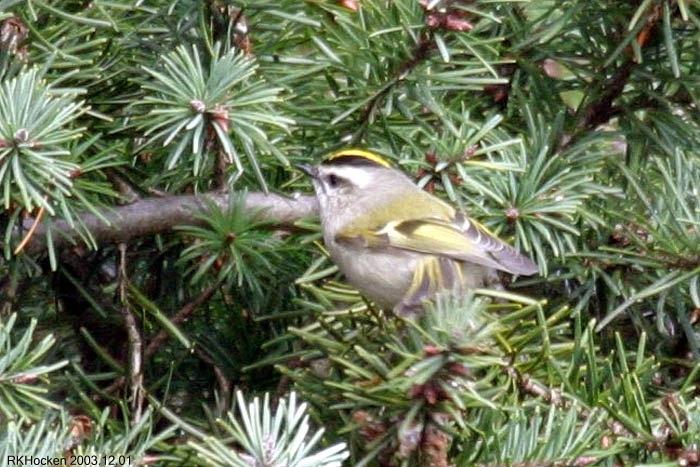 We spotted a large mixed flock of Bushtits, Golden-crowned Kinglets, Ruby-crowned Kinglets and Chestnut-backed Chickadees high up in the oak trees. Six Gadwall and ten Hooded Mergansers were on the marsh. Trumpeter Swans, Canada Geese, Mallard, Hooded Merganser, American Widgeon, Gadwall, Bufflehead, Wood Duck, Ringed-necked Duck, American Coot, Pied-billed Grebe, Bald Eagle, Cooper’s Hawk, Red-tailed Hawk, Merlin, Great Blue Heron, Glaucous-winged Gull, Northern Flicker, Downy Woodpecker, Rock Pigeon, American Robin, Anna’s Hummingbird, Bushtits, Golden-crowned Kinglet, Ruby-crowned Kinglet, Brown Creeper, Chestnut-backed Chickadee, Steller’s Jay, Northwestern Crow, Common Raven, Marsh Wren, Bewick’s Wren, Spotted Towhee, Song Sparrow,Golden-crowned Sparrow, Red-winged Blackbird, Brewer’s Blackbird, Dark-eyed Junco, House Finch, American Goldfinch and House Sparrow. Three American Black Ducks, Canada Geese, Greater White-fronted Geese, four Cackling geese and a Red-tailed Hawk were seen near Doole Road in Cedar. A Mourning Dove was spotted at Piper’s Lagoon in Nanaimo. The Tuesday bird walk went to Deep Bay. The morning was cloudy with calm winds and the water was like a glass mirror. 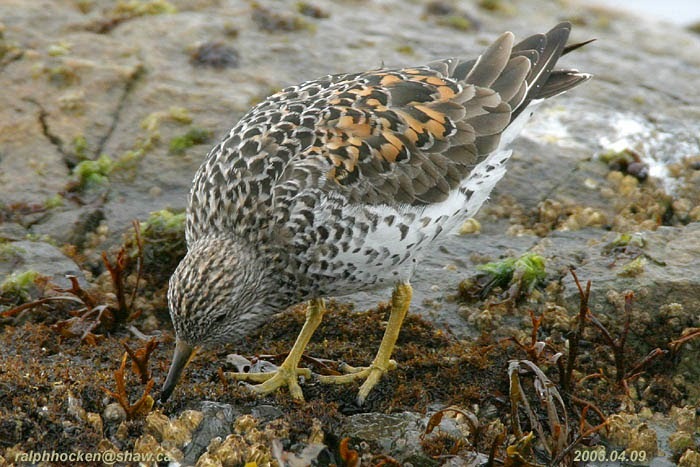 The surprise of the morning was the sighting of a Surfbird feeding in with a mixed flock of Dunlin, Black Turnstones and Black-bellied Plovers on the near shore. We spotted a flock of over two hundred Dunlin on the far shore away from the Marina. We saw large rafts of Harlequin Ducks, Surf Scoters, White-winged Scoters, Black Scoters, Long-tailed Ducks and Bufflehead throughout the morning. Trumpeter Swan, Canada Geese, American Widgeon, Mallard, Harlequin Duck, Surf Scoter, White-winged Scoter, Black Scoter, Long-tailed Duck, Bufflehead, Common Merganser, Red-breasted Merganser, Pacific Loon, Common Loon, Red-necked Grebe, Horned Grebe, Western Grebe, Brandt’s Cormorant, Pelagic Cormorant, Double-crested Cormorant, Great Blue Heron, Bald Eagle, Merlin, Dunlin, Black Turnstone, Surfbird, Killdeer, Black-bellied Plover, Black Oystercatcher, Mew Gull, Bonaparte’s Gull, California Gull, Thayer's Gull, Glaucous-winged Gull, Marbled Murrelet, Rock Pigeon, Northwestern Crow, Common Raven, Chestnut-backed Chickadee, Pacific Wren, Golden-crowned Kinglet, Ruby-crowned Kinglet, American Robin, European Starling, Spotted Towhee, Song Sparrow, White-crowned Sparrow, Golden-crowned Sparrow, Dark-eyed Junco, Red-winged Blackbird, House Finch and Purple Finch . Forty-five juvenile Snow Geese landed in a field next to McCoy lake on the outskirts of Port Alberni. The Nanoose Naturalists meeting will be held at 7 pm at the Nanoose Library Hall. The Tuesday bird walk on November 12 will be going to Rathtrevor Provincial park in Parksville. Meet at the Parksville Community Park at the parking lot near the Lions Club playground at 9:00 am or at the main parking lot at Rathtrevor Park about 9:10 am. The Sunday Bird Walk on November 17 will be going to the Shelly Road side of the Englishman River Estuary in Parksville. Meet at the birdstore at 9:00 am or at the end of Shelly Road on the ocean side of Highway 19a at about 9:25 am. The Tuesday bird walk on November 12 will be going to Rathtrevor Provincial Park in Parksville. The Sunday bird walk went to the Nanaimo River Estuary in south Nanaimo. The morning was sunny with a mild wind. We saw a Snow Goose feeding just off the river. Three Trumpeter Swans flew over us. 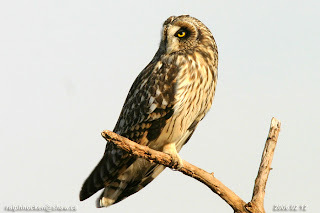 We watched a Short-eared Owl hunt for prey just above the grass. A Northern Shrike was perched on a short bush and then went searching for prey. We saw four Northern Harriers throughout the morning. Several Western Meadowlarks gave us great views. Trumpeter Swan, Snow Goose, Mallard, American Wigeon, Mallard, Common Goldeneye, Northern Pintail, Green-wing Teal Common Merganser, Great Blue Heron, Black Turnstones, Bald Eagle, Short-eared Owl, Cooper’s Hawk, Northern Harrier, Red-tailed Hawk, Northern Shrike, Thayer’s Gull, Glaucous-winged Gull, Belted Kingfisher, Northern Flicker, Northwestern Crow, Common Raven, European Starling, Western Meadowlark, American Robin, March Wren, Bewick’s Wren, Spotted Towhee, Song Sparrow, Golden-crowned Sparrow, Dark-eyed Junco and Purple Finch. A Northern Saw-whet Owl and a Great Horned Owl were spotted at the Vancouver Island University Woodlot in Nanaimo. An American Kestrel was seen along Northwest Bay Road in Nanoose Bay. A Northern Hawk Owl was seen at Moorecroft Regional Park in Nanoose Bay. A Hutton’s Vireo, a Varied Thrush, a Steller’s Jay and a Red-tailed Hawk were seen at Buttertubs West in Nanaimo. The Tuesday bird walk went to the Shelly Road side of the Englishman River Estuary in Parksville. The morning was sunny but cool with calm winds. We spotted a large flock of Chestnut-backed Chickadees feeding on a low conifer giving us great close views. 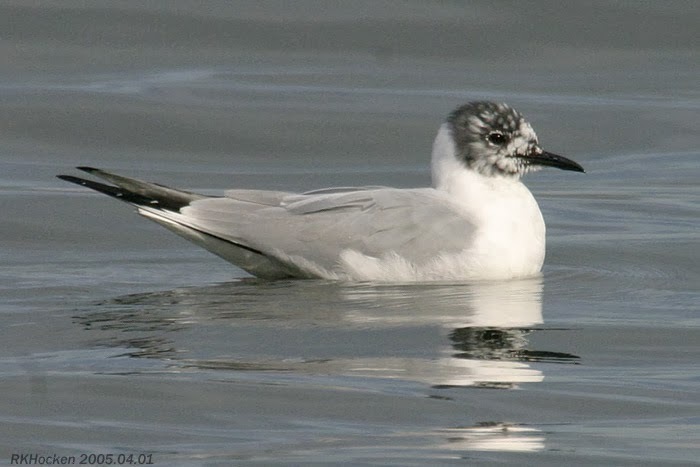 Over one hundred Bonaparte's Gulls were bathing in the water with a large mixed flock of other gulls. 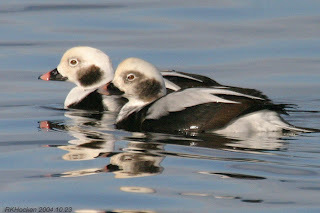 Five Long-tailed Duck’s were diving and swimming just offshore. A raft of Bufflehead and one lone Common Goldeneye were floating on the Strait of Georgia. We spotted a Northern Shrike chasing prey and then heading back to it’s perch on a short bush. 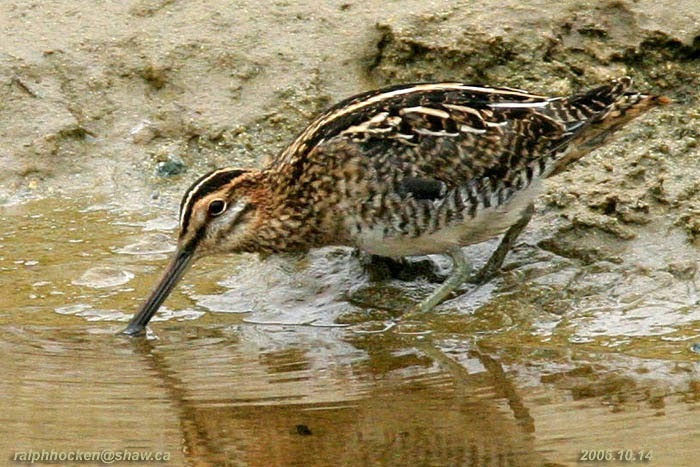 We spotted a Wilson’s Snipe feeding at the end of the little pond just off the trail. Wilson’s Snipe: Ralph Hocken Photo. Bonaparte's Gull: Ralph Hocken Photo. The Tuesday bird walk on November 05 will be going to Deep Bay. Meet at the Parksville Community Park at the parking lot near the Lions Club playground at 9:00 am or the Deep Bay Marina parking lot at about 9:40 am. 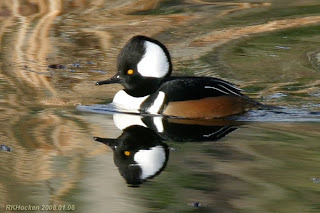 The Sunday Bird Walk on November 10 will be going to Buttertubs Marsh in Nanaimo. 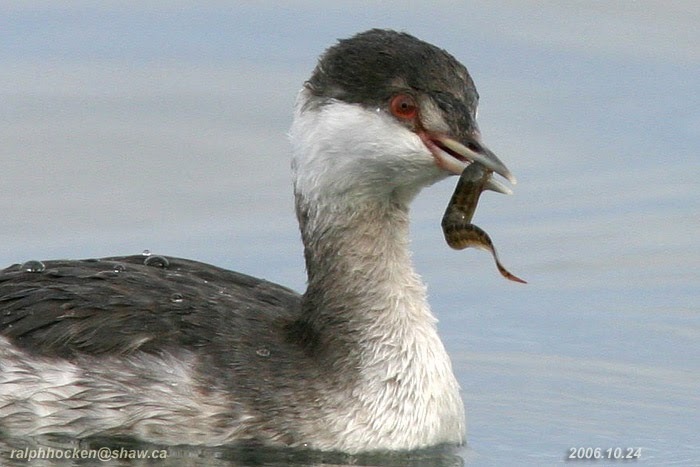 Meet at the birdstore at 9:00 am or at the parking lot at Buttertubs Marsh off Bowen Road at about 9:15 am.